Average sale price of Matthews area homes increased 16.1% to $368,649 in January 2019 compared with the same period one year ago. This average sale price is also approximately $45,000 higher in January than it was just last month in December. Median sale price for Matthews area homes in January 2019 increased 21.3% versus one year ago to $284,950. Average days on market for property listings in Matthews during January 2019 were 54 days (up 15 days compared with one year ago). Median days on market stood at 20 days in January 2019, up 6 days compared with one year ago. Increasing home prices houses probably contribute to the increasing days on market. Average price per square foot was flat at $129/square foot in January 2019 versus the same period in 2018. Pending sales in Matthews increased 5.4% in January 2019 versus the same month last year. Closed sales in Matthews decreased 7.7% in January 2019 compared with the same month one year ago. New listings in Matthews increased 24.2% versus January 2018. Months supply of inventory remained low at 2 months keeping Matthews a seller’s market overall. Median percent of original list price that sellers received for their homes was 95.8%, showing some, but not a lot of negotiating room in the 28105 zip code for Matthews area homes. Wondering what the hot neighborhoods in Matthews are? Click on the picture below to discover the 5 hottest neighborhoods to be watching in the Matthews, North Carolina area. 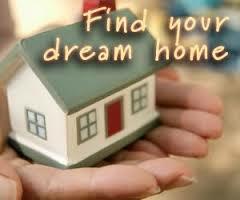 It’s easy to find your dream home in the Matthews area at GreatHomesInCharlotte.com. You can search for all homes for sale in the 28105 zip code for sale here at: www.GreatHomesInCharlotte.com. And don’t miss out on the newest home listings in the Matthews area. 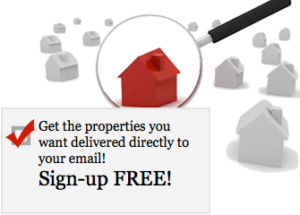 Sign up to receive email notification of homes as soon as they come on the market. You can customize your search to your specific needs and always be the first to know what’s coming on the market. 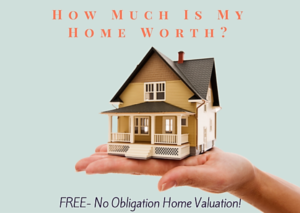 Wondering what your Matthews, NC area home is worth in today’s market? Find out by clicking on the picture below. If you’re thinking about selling your Matthews home, let’s get together and discuss the supply conditions in Matthews and how we can assist you in gaining access to buyers who area ready, willing, and able to buy now. Buying Or Selling A Home In Matthews…. This Charlotte, North Carolina real estate monthly update for Matthews is brought to you by Nina Hollander and Carolinas Realty Partners with Coldwell Banker Residential Brokerage, your Matthews area specialists and Charlotte metro area residential real estate experts. We’ve been opening doors for Matthews home buyers and sellers for 20+ years. Matthews Housing Market Update/Video for January 2019. January home sales in Matthews, North Carolina saw continued, significant home sale prices increases compared with the same month one year ago. Market inventory remained tight despite a slight increase and the months supply of homes at 2 months indicated a continuing seller's market. Closed sales were down, but pending sales, as well as new listings, were both up. Lack of affordable inventory can be considered a contributing factor for the drop in closed sales despite a large increase in new listings. Posted in: Housing Market Reports/Updates Tagged in: 28105 zip code, buyer demand for matthews nc homes greater than supply, great homes in charlotte, home buyer guide, home seller guide, housing market update for 28105 zip code, matthews, matthews housing market update january 2019, matthews nc, matthews nc homes for sale, matthews nc housing market update, matthews nc real estate, things to consider when buying a home, things to consider when selling your home, video: matthews housing market update january 2019, what happened in the matthews nc housing market in january 2019, what's is my matthews nc area home worth?